Revered as one of the ancient forms of Indian classical dance forms, Bharatnatyam or Bharatanatyam is the most synonymous with the art and culture of India. 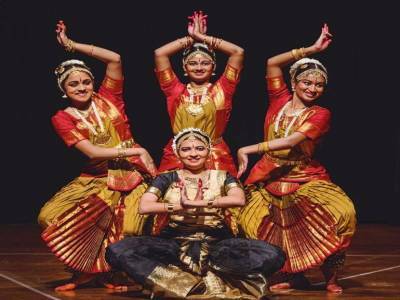 Bharatnatyam is said to be originated in the southern reaches of the peninsular Indian sub-continent with the modern day state of Tamil Nadu as its epicentre. It is essentially a unique style of dancing art that was invented keeping in mind the movements of women, but nowadays it is performed by artists of all genders. 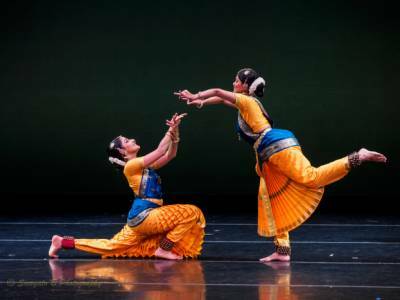 Bharatanatyam is believed to be the earliest form of Hindu dance as the main concept of the dance is to express the mythological tales and spiritual nuances of the Hindu religion. The dance form is mainly dedicated to the Saivite sect of Hinduism as Lord Shiva is also known as the Lord of Dances or the Nataraja. Through the passage of time, Bharatnayam is also performed to express the religious beliefs of Shaktism sect and Vaishnavism sect. The name of Bharatnatyam comes from - Bha (bhava or emotions), ra (raga or melody), ta (tala or rythm) and natyam (dance). This dance is incomplete without a musical story arc, for which it is often regarded as a stage dance. 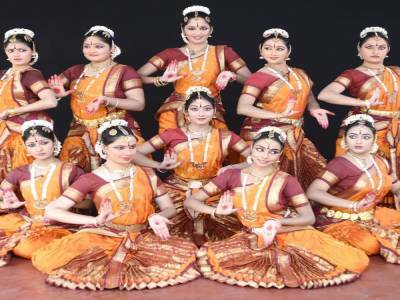 The history of inception of the Bharatnatyam dance form dates back to pre-Christ age, when a certain sage, Bharat Muni theorised the dancing style in the Sanskrit scriptures of Natya Shashtra. The development of the dance was completed in the 1st millennium of Common Era. The proof of the fact lies in the writings of 2nd century CE Silappatikaram, Tamil epic and the sculptures of different south Indian establishments. 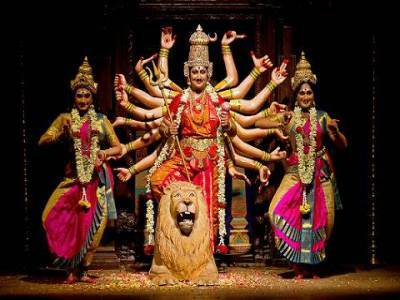 As Bharatnatyam is a religious prayer dance it was confined within the sanctums of Hindu temples but due to the Colonial ban place on the dance, the activists made efforts to expand the reaches of this traditional Hindu Indian dance. Nowadays Bharatnatyam is performed with fusion and non-religious themes also. Get quick answers from travelers who visit to Bharatnatyam Classical Dance.